Chinese President Xi Jinping has announced that his country will provide Arab states with $20 billion in loans for economic development. 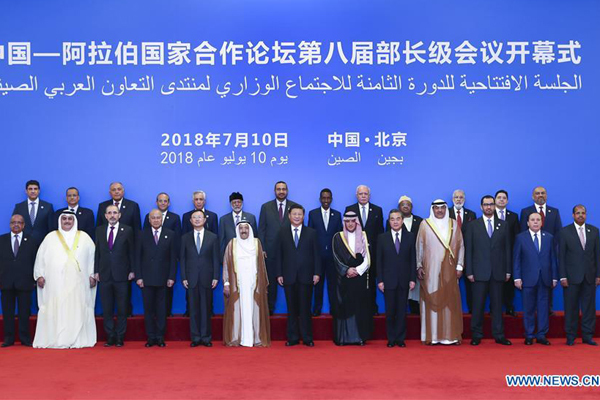 He was delivering a speech at the opening ceremony of the eighth ministerial meeting of the China-Arab States Cooperation Forum on Tuesday at the Great Hall of the People in Beijing. China and Arab countries have also agreed to establish a "future-oriented strategic partnership of comprehensive cooperation and common development", said Xinhua news agency. The meeting was participated among others by Kuwaiti Emir Sheikh Sabah Al-Ahmad Al-Jaber Al-Sabah, Saudi Arabia's Foreign Minister Adel bin Ahmed al-Jubeir and senior ministers from other Arab states. The money will be earmarked for “projects that will produce good employment opportunities and positive social impact in Arab States that have reconstruction needs,” AFP quoted Xi as saying. It is part of a special Chinese programme for “economic reconstruction” and “industrial revitalization,” Xi told the forum. Beijing is also prepared to provide another one billion yuan to countries in the region to “build capacity for stability maintenance,” Xi said, using a term commonly associated with policing and surveillance.